Welcome to Weight Loss Wednesday Week 14, Easter is over and summer is now somewhat upon us. I hope you have all been outside enjoying the glorious weather we have had recently… bring on the tan! Check out Weight Loss Wednesday Week 13 or fast forward to Weight Loss Wednesday Week 15 for a progress update! Before I can think about an amazing tan, I really do need to start knuckling down with my weight loss journey. Due to the school holidays and Mini Me being off the last day of term, I have not seen the inside of my gym in a week. I am literally climbing the walls, having not been able to run or do weights. In all honesty though, I haven’t even been on the bike when I have been at home. I have been somewhat naughty in the exercise department and have particular guilt over it all. Next week there will be no rest days, that gym is going to see me most days, I cannot let my running slide now that I appear to be in the groove! Despite doing diddly squat – no, it’s not another type of squat don’t worry – this past week, my eating has not been too bad, even over Easter. I did trough my way through a large plate of Beef and Veg on Easter Sunday but have not eaten one Easter Egg, I deserve a medal! I may have enjoyed a Peroni or 3 this last week too, the weather has been too lovely to not indulge ever so slightly. Imagine my surprise this morning then when my scales informed me I had lost 2lbs this week – in total 1 stone and 6lbs – clearly something has worked for me this week. Mind over matter, I have not been snacking as much, I have only been eating my meals and cannot even say they have been calorific. Today is my first day adapting to New Me (part of The Sun family) – a monthly diet and exercise planner, costing £10 per month. With set meal plans, that you can adapt, handy shopping lists and exercise plans suited to your fitness levels – experts are on hand to guide you through and make the most of the plan and help you make your weight loss journey successful. It will be interesting to see how I get on, considering I don’t like being told what to do, especially with regards to my exercise routine. Wish me luck and check back later in the week to see how I am doing! The meal suggestions are packed full of vegetables and fruit and look super yummy – I also like the suggestion of ordering an Indian takeaway too! Has your weight loss journey or exercise routine been put on hold due to the school holidays? What changes have you made this week to cope with Easter? I’m doing New Me too. Nursery doesn’t have Easter holidays, they just close for the bank holidays – and on those days we went for walks so I think I’ve done ok… The really telling will be when I weigh in next week though… fingers crossed!! Well done Hui, I am very jealous you were able to carry on with your workouts! I have a free week next week so hope to make up for lost time! I will be posting more information about New Me over the next few weeks so definitely keep posted! 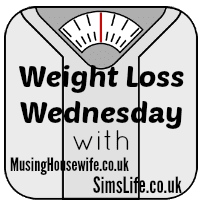 I hope the Weight Loss Wednesday posts can inspire you to get back on track – we are all allowed a little break off the regime when on holiday! Cleaning the house is a great form of exercise, you will be burning calories even if you do not think you are! It’s hard when childcare is limited, I am wishing the school holidays away so we can get back to normal! My weekly house cleaning sessions are my only exercise at the moment! New Me sounds interesting. House cleaning sessions help, I assure you – mowing the lawn is a fantastic form of exercise too! I need a few days on New Me but will be posting up at the weekend about how it all works! I can’t wait for you to show us you before picture (when you first started this weight loss program) and your current photo! Bet it will be good! Well done Sim, awesome weightloss!! Must have done something right! Thank you so much chick! I know… I didn’t snack as much last week, but even with a takeaway and a couple of beers something must have worked. School holidays so unfortunately not a lot of time for sitting down! Wow. Thank you for being an inspiration to all of us! Thank you! As is everyone on a weight loss journey – to simply want to do it and keep going is fantastic, a lot of determined people out there! Very inspiring. I’m starting my weightloss journey as well not just to makes myself look good but also to be healthy holistically. How interesting that the takeaway they suggested is Indian food! Why so? What sort of Indian food was suggested? I am still trying to get out everyday for a brisk walk. I hope that the warm weather comes soon!! That plan sounds very good actually, you get to share diet plans with others, as well as follow ones noted by dieticians! Also, congrats on losing weight after Easter weekend! 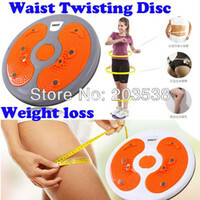 Great idea for weight lost!~ Let’s start dieting and exercise now! You’re so lucky to lose weight even without gym time. I’m sure your gonna lose more next week when you go back to the gym. I’m surprised that you lost weight without exerting much efforts nor going to the gym. My guess, its because of what you have eaten. When we get into an exercise routine, we trigger our fat and energy burning mechanism. Our body continues to burn calories even when we are at rest. I always give myself a cheat day for holidays! But boy oh boy this easter candy is killing me lol!!! We didn’t get my son any candy but everyone else did and its so much!!! Cheat days are definitely required – your body will definitely thank you for it in the long run! I was mean this year with Easter eggs, far too much chocolate for my liking! It is so easy to put weight on and ridiculously hard to lose it – but with perseverance it can be done! Good luck! Good luck to you. Continue your eat clean diet and workout. Thank you so much Elana! My favorite workout routine is hitting the track with a buddy. It is in the seventies today. Perfect weather for a bike ride. I hope my allergies dont kill me!! Ohhh hope you enjoyed your bike ride! Yes it is so nice to get out and about when the weather is nice! I worked-out but not as hard as usual, due to not feeling that good. I don’t know if I’m losing weight, but I’m finally starting to see “some” improvement. I’d love to see MORE, but some is good… I guess. Congrats on your journey, you’re doing wonderfully!!! I don’t actually workout per sey… I do lots of walking and relaxational yoga and thats enough for me! Walking is one of the best forms of all round exercise, plus it’s nice just to get out and enjoy some fresh air! I’d love to join a gym but I honestly would have the time to go. My other half works quite late so I don’t have anyone to watch the little ones. I do transform my living and excise during nap time! Keep up the good work! Thanks for linking up to #slimmingworldsunday! Finding the time is hard – I absolutely love my gym sessions now my daughter is at school – certainly kicks off the day with a good start. I have just treated myself to the Charlotte Crosby dvd in the hope that I can do it on my rest days to keep the momentum going! Thanks chick! It’s a fantastic program and the meal options are amazing!